In November, NHS released the findings of the “first national survey of children’s mental health to take place since 2004”. The aim of the survey was “to find out about the mental health, development and wellbeing of children and young people aged between 2 and 19 years old in England”. When it came to education, the report found that on average 8.5% of children experiencing a mental health disorder were more likely to have played truant (compared to 0.8% without a disorder). This figure increased to 11.2% amongst those with a behavioural disorder*. The survey identified that two-thirds of young people experiencing problems did have contact with a professional service and that teachers were the most commonly cited source of support. Reassuringly, only 10% of these young people felt that this particular support was unhelpful. 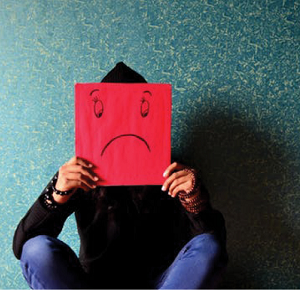 With such a large proportion of young people turning to their teachers for support, it is concerning that a recent survey by Mental Health Foundation Scotland, most teachers felt they lacked the training to help pupils with mental health issues. The survey also identified that around half of the staff questioned felt that the pressures of the job had contributed to mental health issues amongst the teachers themselves. The report found that 85% of those surveyed felt that more training in this area could help them take better care of their own emotional condition. Do you feel that there is sufficient support for teaching staff around mental health issues? Do you think there is too much pressure on schools to deal with these areas? Have you or your school been particularly successful in handling the matter? Let us know your thoughts and suggestions using the comments section below. With increasing numbers of young people spending more and more time online and the increase in anxiety they are experiencing as a result of this, it is essential for whole school staff training on mental health. The message needs to be more around promoting and sustaining positive mental health rather than just focusing on trying to support once there is a concern. CAMHS are stretched beyond capacity and school staff are the first line of support. School staff need to be properly trained to help the children but also to support themselves. Currently there is no provision for clinical supervision of staff in schools and there needs to be, with the issues which we are now dealing with. I work in a pastoral role and agree that some parents are increasingly reliant on schools to become 'second parents'; to resolve friendship issues, combat cyberbullying etc. If schools received more funding then we would be better qualified to address the issues that are born from social media. We are currently seeing more and more students with what appears to be anxiety which is a barrier to learning, especially when the students are not able to attend school. Aside from those with a genuine mental health issues some of our students seem to lack resilience, which is something I would really like to focus on building, but how? I have 20 years experience in safeguarding and behaviour management in secondary school. And did undergraduate and post gradual qualifications in behaviour management and some counselling. I completely agree that there are many more students presenting with mental health problems, I see social media playing a massive part in this. Also lack of parenting and resilience and entitlement. Also so much general talk and normalising mental health conditions confusing things. The pressure on our school by parents, local agencies and GPs for 'school' to have the answers and provide the interventions and mental health work with our students is overwhelming, demoralising, and conveys a dreadful sense of responsibility on us. I am better than most at dealing with this but again schools are having increasing pressure to do jobs of parent, social worker family support workers, mental health professionals, counselling and our support staff have halved and teachers have almost no non-contact lessons and are frankly breaking! This is not sustainable. We used to have a good amount of support in school but its all gone or there are some private agencies who cost a lot and we don't have the money for books - Oh yes we are a school!